I didn't have the best lighting conditions this particular morning but I made the most of it and shot in the loop. 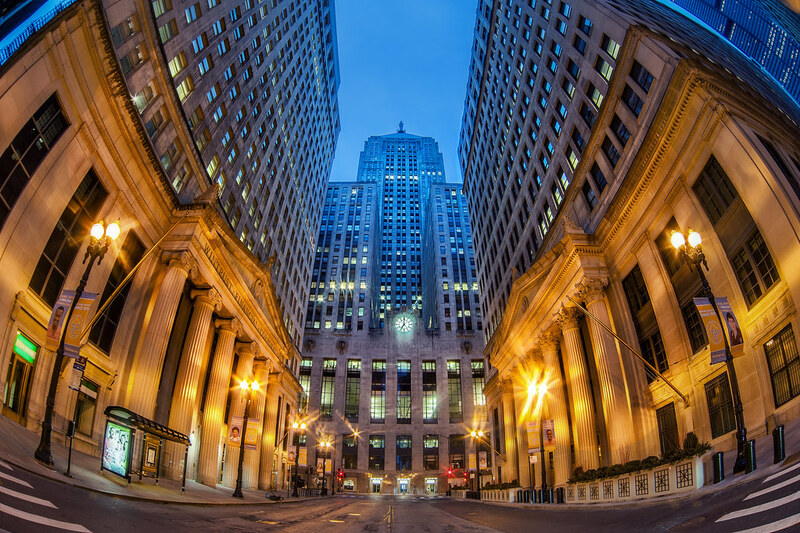 This is the Chicago Board of trade shot with my fisheye lens. The Chicago Board of Trade - taken early on Sunday morning.